Crystal Glass There is 1 product. Chloris Tableware is offering crystal glass stemware for a great gift. 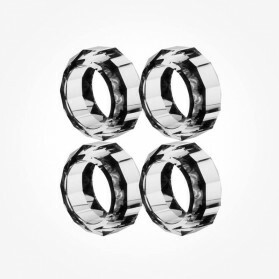 We have selected only top quality and designer's selection. 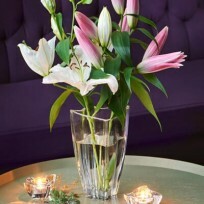 Fantastic look Crystal Glass Vases, high-quality Red Wine Glasses, White Wine Glasses and whisky wine decanters from antique to modern styles. 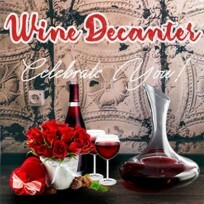 Recommended stemware is on Dartington for Vases and Villeroy & Boch for Wine Glasses. Different types of wine glasses exist for various kinds of wines. We present to you a wide selection of red wine glasses in decorative shapes, different sizes, and with a particular factor of elegance. Whether you plan on serving wine with your meal, or you just want to taste the fine wines in a vibrant bouquet, you can find a wine glass for every purpose with us. In wine there is the truth, in glass lies the beauty. 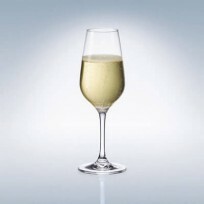 With stock from top crystal and glassware brands like Villeroy & Boch, Dartington Crystal. 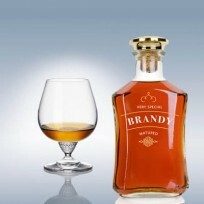 Entree and Purismo brands we offer glass series for all types of wines. 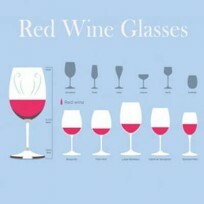 Whether Bordeaux or Burgundy, here you will find many different shapes, sizes and types of wine glasses. For the perfect taste of a good red or white wine, you must choose the right glass. Along with Red wine glasses, we also stock white wine glass so that that you enjoy the great fresh wine which is full of flavour and aroma. 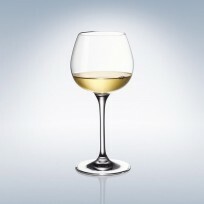 White wine glasses are more U-shaped narrower upright than that of a red wine glass, allowing the aromas to be released while keeping the white wine cooler temperature. White wine is best stored temperate in the wine chiller is between 6.5 to 8.5 degree Celsius depending on the wine types. Basics for the white wine shape, in particular on the opening is that the younger white wines would be fit for a slightly larger opening than mature white wines. So in general, white wine glasses for younger wines has a wider opening and shorter in height than that for mature wines. Most Popular Champagne Glass shape. 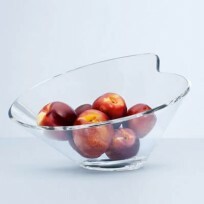 It features long bowl shape, and most people recognize them for Champagne. The long stem is essential as it allows you to place your hand here, rather than on the bowl thus preventing your cold champagne from warming too quickly. The tulip shaped is different to the flute because of the narrower opening and the wider bowl. The key point to this tulip shape is only to fill it half the way up the bowl, the widest point. Why? This shape traps the aromas under the bowl, preventing them from spilling out into the open air. Thus, in turn, will it serve you a better flavor, tastes, and aroma. A shallow, broad-bowled, stemmed glass, commonly used for wedding receptions, often stacked in layers to build a champagne tower. This shape is a more traditional which its original style is often associated with the previous century when there were a limited amount and variation of glass types. Legend has it the shape of the glass was referred on the breast of Marie Antoinette, Joséphine de Beauharnais, Madame de Pompadour, or one of several other French aristocrats, although this is almost certainly untrue; the glass was designed especially for champagne in England in 1663, preceding those aristocrats by almost a century. This shape doesn’t allow you to watch the bubbles bounce off of each other like the above two do, but this is however quite a sophisticated, elegant and traditional way to drink Champagne. The broad surface area allows champagne to lose its carbonation more quickly, making it less suitable for the current style of very dry champagnes, compared to the sweeter champagnes that were popular in the 1930s. Therefore, the Coupe fell out of fashion except for traditional occasions such as weddings. Fine whisky deserves to require suitable whisky glasses or tumblers. 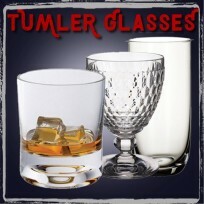 Old Fashioned whisky glasses which is called in other name such like lowball glass, or rocks glass are short tumblers used for serving alcoholic beverage, such as whisky, with ice cubes (“on the rocks”). It is also normally used to serve certain cocktails, such as the Old Fashioned, from which it receives its name. 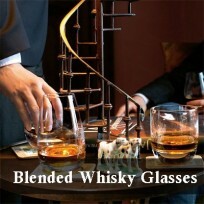 Selecting a suitable whisky tumblers and drop of fine whisky will give you a deep pleasure from a suitably selected one. Furthermore, lead crystal with classically heavy weight bottom will bring you better state of mind while drinking excellent whisky. A cocktail glass is a stemmed glass with an inverted cone bowl. Though they are often referred to as martini glasses, they differ from martini glasses in that they have smaller, narrower bowls with rounded or flat bottoms, while Martini glasses have larger, wider bowls that are entirely conical at the bottom. It is mainly used to serve cocktails. 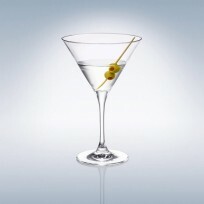 Its form derives from the fact that all cocktails are traditionally served chilled and contain an aromatic element. Thus, the stem allows the drinker to hold the glass without affecting the temperature of the drink, and the wide bowl places the surface of the drink directly under the drinker's nose, ensuring that the aromatic element has the desired effect. 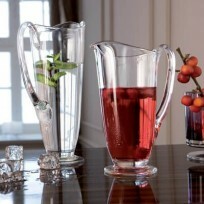 * Oversized cocktail glasses, ranging in capacity from 18cl to large glasses of 35cl or more are available. "Pitcher" word is used for wide-mouthed vessels with a narrow mouth and handle for liquids and used for thin plastic shop packaging for milk in American English usage. "Jug" is a container same like Pitcher but not used for retail packaging and the general word utilized in all other English speaking countries. * Beer Jug: In certain countries, a "jug" refers to a jug containing 2 pints of beer. It is usually served along with one or more small glasses. In Britain there is a choice between a pint tankard and a strut glass of beer, a tankard may be called a tankard or a "jug". A jug of beer may also refer to a jug containing larger amounts (usually sized in Pint), but if a large jug is sold it will be advertised as such in the pub and this helps to reduce confusion. 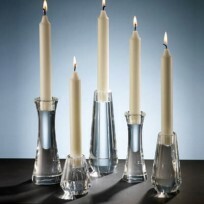 Candlesticks Crystal Glass Candle Holders (Plural "Candelabra") is a holder for one or more candles, used for illumination, rituals, or decorative purposes. Candlesticks are erroneously called "candlestick holders" by those who mistakenly think that candles are appropriately called candlesticks. We have a variety of Candlesticks to suit any style for perfection such as the number of arms, from simple to more decorative design, from conventional to contemporary so make a perfect selection to your place and any party events. There are several kinds of materials in the past, but at present Glass/Crystal and Porcelain are primarily used for candlesticks by most of the manufacturers. Simply decorating your dining table, shelves in the library room, any place at home with beautiful candlesticks will give you romantic mood as well as take your stressful day away. Rewind your day off by drinking beer in a brilliant beer glass that is formed for different types of beer; Ales, lagers, stouts/porters and malts, different styles of beer: amber, blonde, brown, cream, dark, pilsner, red, black and wheat. 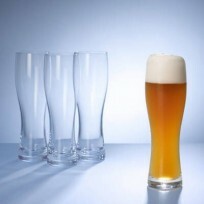 The selection of beer glass suits the best aroma and taste of your favorite beer types or styles. 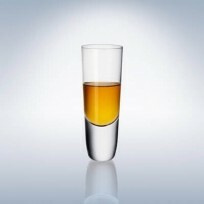 Shot Glasses are simply a fun way to serve and shot any shot of spirits! Everyone has shot glasses at home in most cases that are plain ones. Why not choosing something different and mixing it up with each other to make things more fun and exciting. Bring some excitement to your next home party with fine and quality crystal shot glasses. Latte Macchiato is more or less like a caffe latte as it is made from a lot of hot milk at the bottom and a small amount of espresso added on top but with additional milk foam over the top. 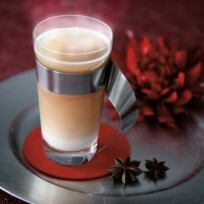 To make latte macchiato the mix of this three layers beautifully in the cup as well as to make the taste of coffee the best it is ideal to serve in a tall glass rather than shorter one. The layers can be a bit tricky at first, but if you pour with ease, it’s entirely possible visually beautiful and taste clear drinking step by step. As the milk "latte in Italian" is poured a lot, the thick wall of glass or cup is desirable to keep the coffee with milk hot as long as it can. Enjoy tea by glass teapot teapots, another brewing way of loose leaf tea is using glass teapots which are more contemporary than pottery teapots, which provides a visual experience through the glass wall as you watch over the tea leaves unfurl and the tea water being changed to the natural colour of tea kind. Furthermore, you can observe the steeping process over the glass, which will help you decide when the tea is appropriate for drinking upon your brewing preferences such like it is to be thick or light. 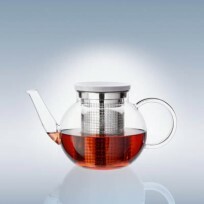 As you usually use high-temperature hot water, the glass teapot should be quality tempered glass that withstands hot water.